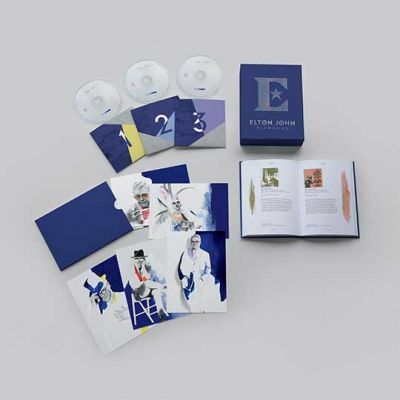 We offer our 2nd Diamond Moment to celebrate the November 10th release of Elton’s ultimate greatest hits collection, 'Diamonds'. Elton during his Rock And Roll Hall Of Fame induction speech in 1994. 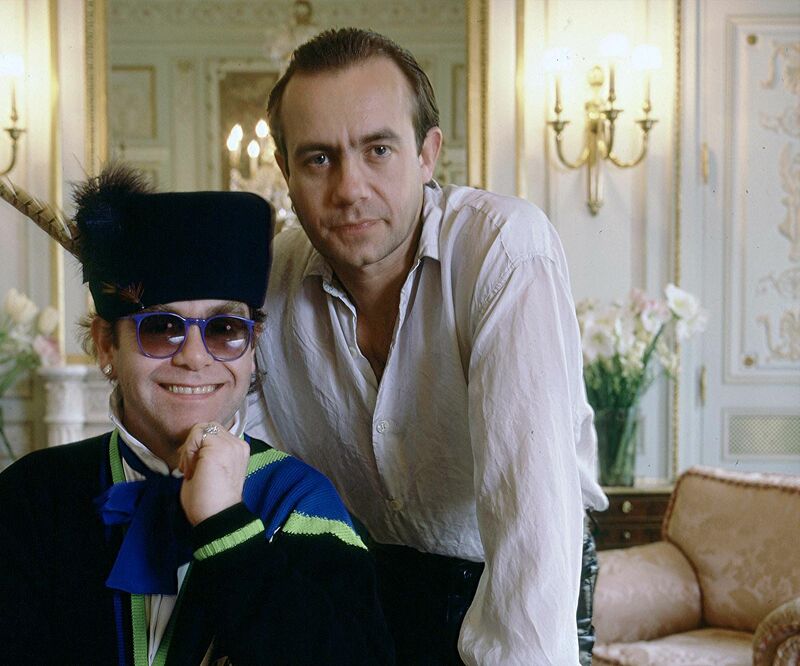 Elton John and Bernie Taupin’s songwriting relationship began in 1967 and took the public by storm in the early 1970s, but it was the 1980s that took their collaboration to new heights and gave Elton his first #1 solo single in the UK. Born on May 22, 1950, Bernie grew up in rural England with a love of literature, nature, history, music and poetry, instilled by his mother and grandfather. His flair for writing was evident, as was his fascination with the American West. 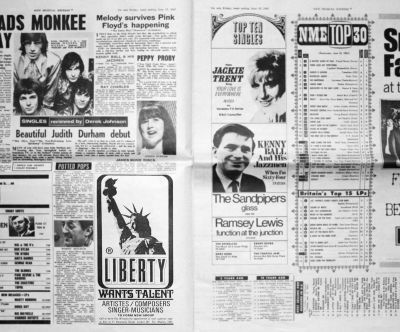 At the age of 17, Bernie submitted samples of his poetry to Liberty Records in response to an advert in the New Musical Express and was introduced to a 20-year-old composer called Reg Dwight (later Elton John). The friendship and musical collaboration between Reg and Bernie blossomed and flourished into one of the world’s greatest and most successful songwriting partnerships. Following a decade of unimaginable success, Elton and Bernie wrote apart for a brief time (both charted with other collaborators) but never lost their connection or ability to craft songs together in the unusual style of lyrics first. Only two of Elton’s 33 studio albums do not include a Bernie lyric and the pair continue to create full albums together to this day. The 1980s saw 85 John/Taupin songs issued – although one, Nice And Slow from The Complete Thom Bell Sessions, had been written in 1977. Two of these were released by artists other than Elton: 1981’s Remember by Donatella Rettore and 1988's The Rumour by Olivia Newton-John (with Elton on piano and backing vocals), which was a precursor to the lyrics on Elton's album the following year, Sleeping With The Past. 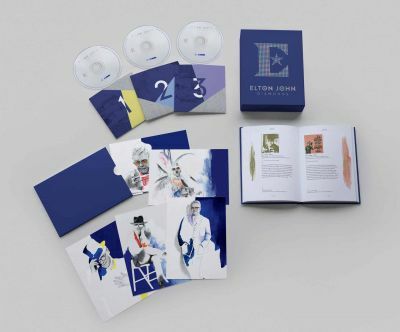 The remainder appeared on Elton's albums or as non-LP B sides to his singles during the 1980s. ★ I’m Still Standing (1983) – One of Elton’s most popular up-tempo numbers. Reaching #4 on the UK singles chart, this track, and its host album Too Low For Zero, reunited his classic 1970s band of Dee Murray (bass), Davey Johnstone (guitar) and Nigel Olsson (drums). ★ I Guess That's Why They Call It The Blues (1983) – This concert favourite was a Top 5 single in both the US and UK and, thanks to an idea by producer Chris Thomas, features Stevie Wonder on harmonica. ★ Sad Songs (Say So Much) (1984) – Elton intentionally composed music that offset Bernie’s “ballad” lyrics on this first single from Breaking Hearts, which reached the Top 5 on eight charts worldwide, including #1 on Canadian Adult Contemporary. ★ Nikita (1985) – One of Elton’s more popular songs across the globe and one of two from Ice On Fire to feature George Michael on vocals. The distinctive fretless bass line on this song is by David Paton of the band Pilot. ★ I Don’t Wanna Go On With You Like That (1988) – Reaching #1 on the Billboard Adult Contemporary chart this song became Elton’s biggest US hit of the 1980s and featured one of his more extended piano solos on a single. ★ Sacrifice (1989) – Released as a single twice in the UK and, lyrically, a virtual bookend to 1970’s Your Song, this ballad from Sleeping With The Past became Elton’s first solo #1 single in his home country in June 1990. ★ Empty Garden (Hey Hey Johnny) (1982) – Evoking Elton's November 1974 concert at New York City’s Madison Square Garden, at which John Lennon played three songs, Bernie’s lyric gave his songwriting partner the words he had been looking for to pay tribute to the slain Beatle. ★ Kiss The Bride (1983) – The third single from Too Low For Zero, featured a video directed by Kevin Godley and Lol Creme, members of the 1970s band 10cc, whose 1975 hit I’m Not In Love was a particular favourite of Elton’s.